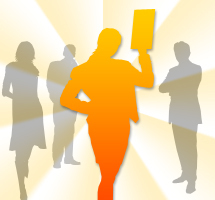 Find a perfect career just for you with My Career Sorter! Find a perfect career that's all about you! With so many opportunities out there for employment, it is difficult to find your career path or change it. Our proprietary career sorting system will guide you through the process of sorting activities that relate to career clusters (fields), researching hundreds of careers within your career cluster, researching career requirements, writing a résumé and cover letter, insights into the interview and post-interview processes, and much, much more! 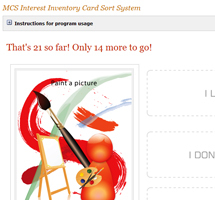 Easy-To-Use Interest Inventory Card Sort System (IICSS)! The MCS Interest Inventory Card Sort System shows you common activities you might enjoy to determine which career clusters are of most interest to you. We know that each and every person is unique and so does our system! You will be matched with a career cluster that is unique to your interests! Our sorting system is quick, fun and easy-to-use! Added Bonus -- Résumé Builder Tool! 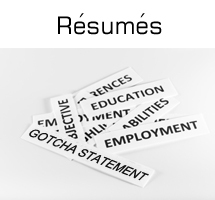 Have you stared at sample résumés trying to determine which one to use or what to put in it? Our résumé builder is designed to help you overcome barriers that cause your attributes to be overlooked. If you are searching for your first job and are worried that you might not have enough to complete a résumé don't worry, we have résumés for students and new hires too! Even more -- Cover Letter Creation Tool! 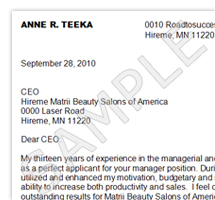 Creating a cover letter is a very important aspect of applying for any job. The cover letter gives the hiring official a short, sweet, sales pitch about you and what you can do for their organization. Employers look at thousands of résumés. Not sending a cover letter with your résumé is a good way to get put in file 13 -- a.k.a. the shredder! An outstanding cover letter may put you on top of the stack and our cover letter builder will help you get there! We have provided several examples! We've incorporated the most current O*NetTM production database into our system to provide you with up-to-date information on the hottest careers! This information will be available to you throughout your career research and document development process! Our system is updated each time O*NetTM updates their production database! 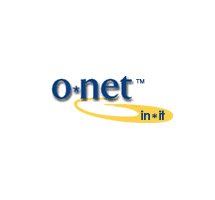 O*NETTM is a trademark of the U.S. Department of Labor, Employment and Training Administration. With your purchase you will get access to a plethora of interviewing tips and tricks! This categorized section will have information on what to wear, questions to ask, body language, and so much more! A good cover letter and résumé will only get you in the door. These interviewing tips will help you seal the deal and land that job! The "MCS Career Portal" is a great utility for career counselors and teachers to provide to their student populace to help them explore career clusters and pathways! 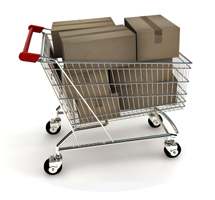 We offer bulk licensing to educational institutions and organizations for as low as $15.00 per student! Students as young as 14-years old can use this system to help them explore their future career possibilities! Tiered discounts are available for purchases of more than 50 licenses!